"Sadly, we tend to disrespect our dead heroes, and worship our living traitors" –Acuil Deng. The new Muonyjang (Dinka) Script: A Summary of the Orthographic Statement and Description drawn from the forthcoming book, “Identity and Language” by Alëu Majɔk Alëu. 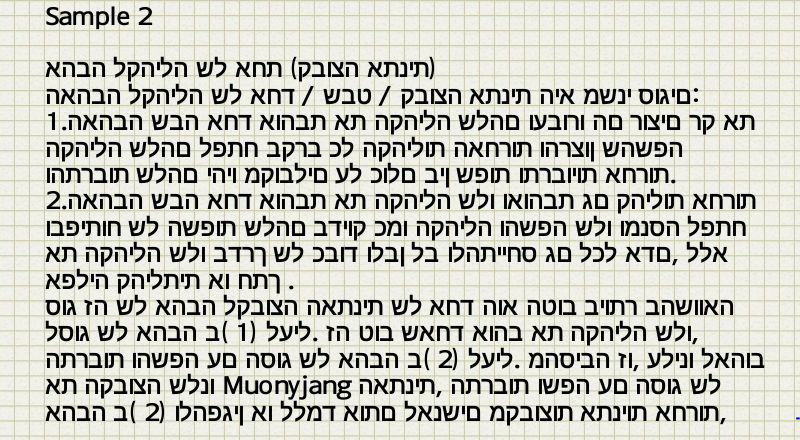 This summary (paper) is purposed to explain the ‘why’ and ‘how’ questions that may be asked about the new Muonyjang script well ahead of the publication of the book, ‘Identity and Language’, from which it was derived. In it the author explains why we need a new script – not just any script but that which will be native only to the Muonyjang language in particular and South Sudanese languages at large. He also explains how the script characters were created and can be written – the orthographic statement and orthographic description respectively. With this paper, therefore, the author discloses to other writers/experts – who may be exerting efforts in the development of the Muonyjang language – and the public the idea of this new script so well in time that their views may be collected much earlier and collaboration may be made. It may then be brief to the experts and lengthy to the public audience, but it is hoped that it will address some questions that might have been raised before by those who, by chance, could have come across the script and those yet to get it. For a comprehensive and detailed insight to the script, the upcoming book is the best alternative. The new Muoyjang alphabet is based on the Nilerian Script which, too, is not only new but is yet in proposition. The birth of the script derives from the orthographic challenges (high degree of ambiguity among words) that have been faced in developing the Muonyjang language using the Latin script as a basis. Over the years, some considerable efforts were exerted in trying to resolve these challenges once and for all. Although the solutions put forward did not resolve all the challenges, considerable improvement was made. The addition of two extra vowels (ε and ɔ) in 1938 as well as the introduction of Kïd ë yäu (aker yäu) by Job Dhurwaai Malou in 1978 were very crucial. Nevertheless, much still remains to be done in many areas of the language to put things right. Some of these areas are tone marking, standardizing spellings on the basis of the real Muonyjang phonemes and establishing some standards that would harmonize the constituent variant dialects among others. The same ambiguity faced before introduction of kïd ë yäu would be prevalent if no viable and practical solutions are found to the remaining challenges. This therefore brings the question; “Is the Latin script sufficient and suitable to attain these viable and practical solutions?” Experience with diereses (kïd ë yäu), which in terms of graphemes, are a result of manipulation of the Latin script shows that practicality with the manipulated letters (with aumlets or diacritics) is too low or mostly lacking among the literate native speakers especially in writing by hand. Furthermore, for Thong Muonyjang speakers, to assert that the most widely used Latin alphabet eases learning of Thong Muͻnyjäng is in itself delusional because it is through its use that now exist so many of them who think or claim that they know the language when actually they know little or none of it. A few will admit this at a surface talk but majority would acknowledge it when getting down to practice and the real nature of the language (its morphophonology). Thus, since entering literacy (writing) in late 1920s, the Muonyjang language has not yet developed even to half of the kind of development anticipated. Rather, more than three quarters of the literate speakers still cannot write it well. So, the adoption of the Latin script for Thong Muonyjang was neither a part of globalizing it nor was it for suitability to the language. It was just a matter of chance (missionaries who adopted it being literate in Latin-script-using languages). The same situation (little knowledge of Thong Muonyjang and no practical writing of diereses among the literate speakers) is certainly looming or will worsen in the event that manipulation of the Latin script continues to account for the tonal aspect. It is in the face of this reality that some academicians/writers, among them myself, have had the opinion that taking on a completely new script is a felt need for the Muonyjang language. When an alphabet is borrowed to represent a language other than it did originally—as has been done with the Latin alphabet for many languages, or Japanese Katakana for non-Japanese words—it often proves defective in representing the new language’s phonemes. And as it has been observed, therefore, the Latin script, in its basic form, cannot sufficiently suit Thong Muonyjang (Dinka Language). It may be used to write Thong Muonyjang but with a very high degree of defectiveness just as it is the case in English – something that the new script seeks to address. As a matter of fact, even English has many considerable difficulties using the Latin script although script change cannot be considered as a solution. This is because, over the years of its development (trying to adopt to the Latin script to suit its phonology rather than adopting it and importing many loanwords), so much work was done that even if the script remains unsuitable, it is better to be maintained. It is owing to this that English has remained a highly non-phonemic alphabetic language and is thus by far contrastive to Thong Muonyjang. For example, the English phoneme /c/ has many graphemes – c, k, q, ck, ch – while the phoneme /j/ has j, g, dge, ge. This complicates spelling, as one will have to remember which word uses which letters. Also the use of the same graphemes, monographs or multigraphs, to represent more than one phoneme in English causes yet another problem in predicting correct pronunciations of words. For example, using <th> to represent the two phonemes in ‘think’ and ‘then’. One, therefore, has to learn these patterns through a lot of practice. These situations are very undesirable and are better avoided in a language, like Thong Muonyjang, which is still at its infant stage of development. Promisingly, Thong Muonyjang phoneme-grapheme correspondence is geared towards a one-to-one correspondence with the marking of breathiness and tone. But the new script best achieves this correspondence without messiness (due to diacritics stalking with aumlets) as can be encountered with trying to achieve the same through manipulation of the Latin script. Therefore, rather than improvising the Latin script by applying diacritics or amulets to meet Thong Muonyjang phonemic demands, it is better to take on a different script preferably the one devised to suit its phonology, the Nilerian Script. 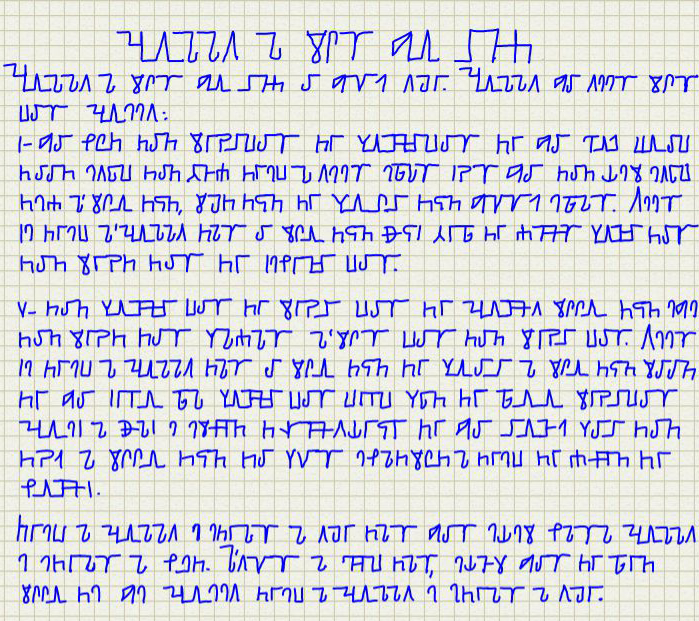 This is to avoid diacritics and aumlets stalking which, in most cases, is hardly practical in handwriting as has been witnessed already with kïd ë yäu. Truly, Finnish, Albanian and Georgian among others achieved nearly ideal phonemic orthographies through the application of diacritics and other markings to the Latin script. But that was primarily due to the fact that they had used the Latin script far too long – longer than it has been used for Thong Muonyjang – to change it. Even then, writings in such languages as above as well as in Vietnamese look very messy. On the other hand, Thong Muonyjang, based on the latin script and at its current stage, is only developed to less than a quarter of the development needed and so we lose little or nothing if we throw away the latin script and adopt a new script with better and easily practical solutions. Such a script ought not be borrowed but should be native only to Thong Muonyjang unless the power of innovation and arts is defeated. The primary goal of the initiative of creating the new script for Thong Muonyjang is for it to be written with an ideal or a nearly ideal phonemic orthography. That is, to achieve as greatest clarity among words as possible. 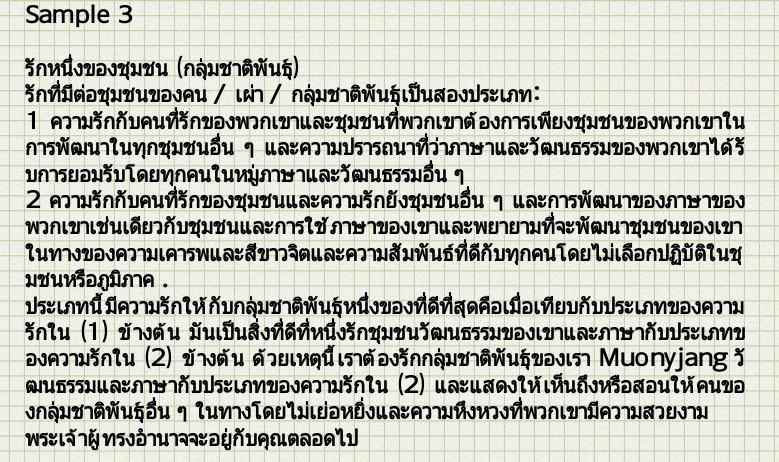 Other reasons such as prestige for having a script only native to Thong Muonyjang are secondary and consequential. So in regards to the primary goal, Job Dhurwaai Malou’s work has covered the ‘great’ part and what is now needed is either the ‘greater’ (more reduced ambiguity) or the ‘greatest’ and which has to be done with a new script other than the Latin. 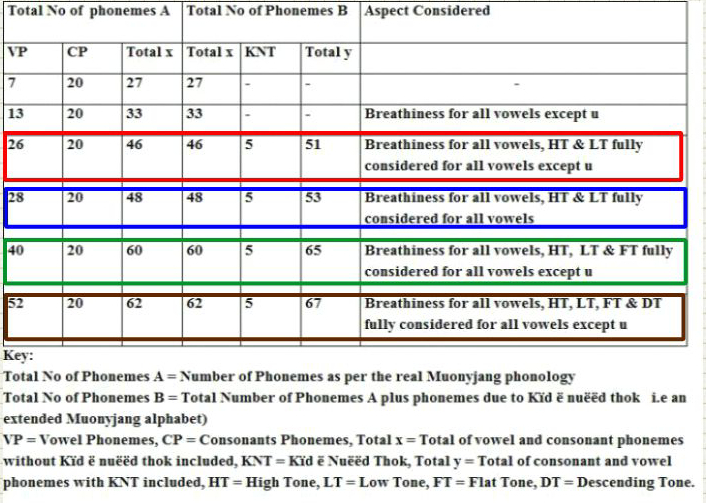 With in-depth analysis of Thong Muonyjang phonology, thoroughly using intuition as a native writer, the author was able to identify, with certainty, six vowel phonemes from each of these undifferentiated vowel sounds (a, e, i, o, ε, ɔ) and four phonemes from ‘u’ after applying both breathiness and tone. Whereas he could use the same technique to arrive at 8 phonemes per each of some of the six undifferentiated vowel sounds above, not all of them seem to have 8 phonemes. Nevertheless, the author hypothesized that each of them can give rise to at most 8 separate phonemic distinctions while ‘u’ can have four. Based on this hypothesis, 52 vowel phonemes can be formed although some may have nearly the same distinctions. On the other hand, there are 20 very clear consonant phonemes as per the real Muonyjang phonology – that which is not diluted under Arabic or English influence. That is, the Muonyjang phonology in its purity as can be found perfectly with illiterate Muonyjieeng who are monolingual only in Thong Muonyjang. The total number of phonemes as per this hypothesis is 72; both of consonants and vowels or 77 including phonemes due to kïd ë nuëëd thok (for writing loanwords). Perhaps the number may be higher with better linguistic analysis and across different dialects. After all, the author’s intuition works no more beyond his dialect or sub-dialect. In pursuit of the primary goal of the initiative, therefore, a one-to-one phoneme-grapheme correspondence can then be applied to get 72 or 77 graphemes (glyphs or characters). To make such a change would be very radical and may be feared or resisted by many. But this is what can, most greatly, accomplish clarity which is now a problem in the language. Actually, the author also strongly recommends reform of spellings that are currently wrongly written due to incorrect allocation of letters to phonemes ( e.g wrongly considering phoneme /d/ as /t/ when appearing as a coda in a word) , ignorance of long vowels, improper grammar marking, et cetra. Such reforms may make the script change more radical but more suitable to the language’s phonemic realities. 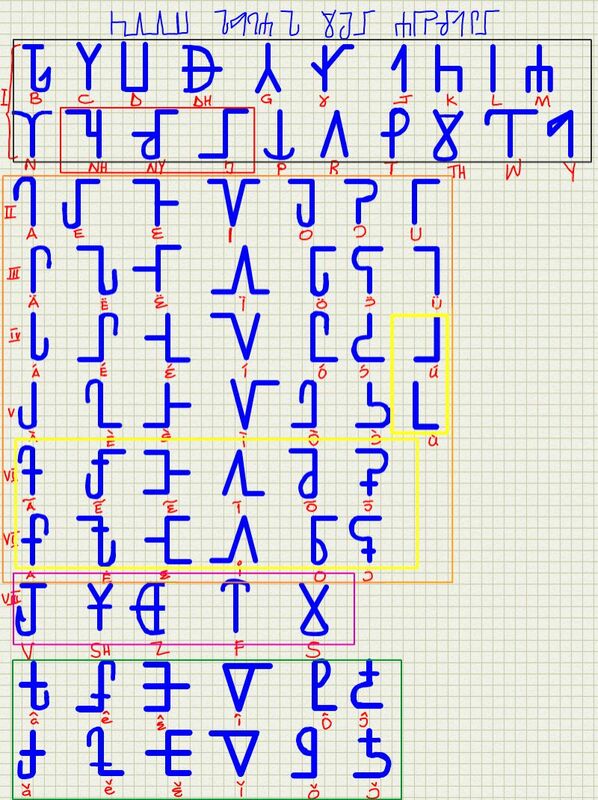 So, to fully conform to the primary goal therefore, we can have 72 characters, the sum of those in the black, orange and green rectangles – in Chart 0 below- as per the real phonology of the language plus 5 characters (in the pink rectangle), here termed as kïd ë nuëëd thok. These are letters meant for helping to maintain pronunciation of foreign loanwords whose maintenance of their pronunciation is necessary, for example, ‘s’ in the word ‘Sudan’. To summarise, check Chart 0 and Table 0 below for these categories of characters and phonemes respectively. Chart 0: Categories of the script characters. Vowel phonemes due to high and low tones are easier to distinguish from one another and from those due to breathiness and non-breathiness (ɣεu). But those due to flat tone are less distinguishable from those due to high and low tones. They tend to approach either the low or high tone phonemes and so need much care to be differentiated. Vowel phonemes due to descending tone are the least distinguishable from those due to high, low and flat tones. They require the greatest care and may be well distinguished using high techniques or intuitively by a few speakers. Their existence also seems to vary among dialects. Since the terminologies used to describe tones vary from one writer to another and given the fact that the author is not a linguistic expert but is just a highly passionate native writer, only using intuition to distinguish tones, it may be helpful to look at the following tone-labelled words in Table 1. 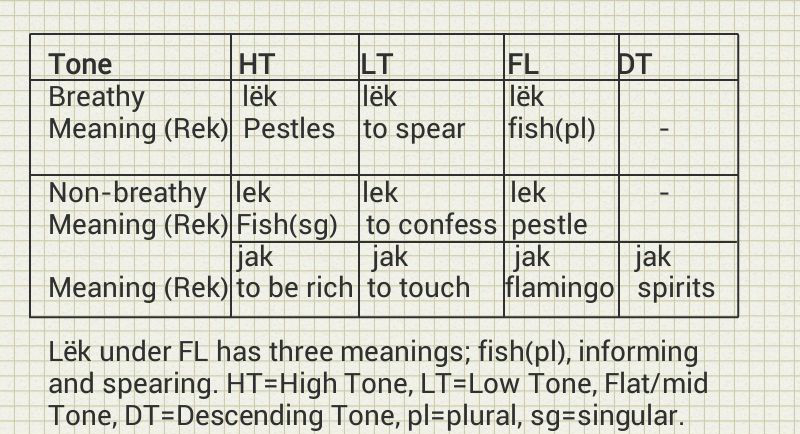 Note that without tones, ‘lek’ and lëk can have three and five meanings respectively, hence a lot of ambiguity. As noted in Table 1, assigning characters to phonemes in the red or blue rectangles in Table 0 can achieve a much greater clarity – a nearly ideal phonemic orthography – while assigning characters to all the phonemes in either the green or brown rectangle would accomplish a highly phonemic orthography (of the greatest degree) for the Muonyjang language. In the opinion of the author and in the view of practical attainment of the primary objective of the script (achieving as much greatest words clarity as possible), marking phonemes in either the red or blue rectangle in Table 0 would suffice. The rest of the vowel phonemes (about 24 or more) if not marked, would present some ambiguities but not significant. With this choice the number of letters/graphemes is, hence, reduced from 77/72 to 53/51 and so, if the orthography is based on this choice, it would be more practical in writing. But should the flat tone be considered, then assigning graphemes to each of the phonemes in the green rectangle in Table 0 (i.e glyphs in the yellow rectangles in Chart 0), a highly ideal phonemic orthography can be achieved although it will present some challenges putting it in practice as phonemic differentiation becomes quite challenging. Therefore, based on this and as a matter of personal choice, the author established orthographic rules (characters’ behaviour and shapes due to joining) as well as ideas for rendering/computing for all the characters in the script except for those in the green rectangle in Chart 0. This is because, on the ground of difficulty using these characters in practice, the author already ruled out using them (marking descending tone). 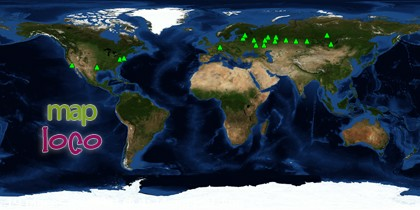 In this view, thus, experts (especially the natives), would, by consensus, make a choice for the number of letters from all of the glyphs categories except category marked with the green rectangle on Chart 0 or phonemes number in the brown rectangle in Table 0. That is, the orthography will have 10 numeral glyphs and the number of letters/characters that correspond to the most preferable number of phonemes (51, 53 or 65) – preferable as in regards to clear phonemic distinctions that can practically be assigned graphemes with less difficulty in reading and writing. As mentioned in the foregoing section, only 63 glyphs for letters and 10 numeral characters are covered in this section. Refer to Chart 1 below. The numeral characters are not discussed much except to show that they are treated in a similar way as with Arabic numerals when counting tends to infinity. The glyphs for letters are, however, discussed in terms of joining with other characters, punctuation and case among other features. As for the case issue, no particular capital and small letters as with ‘A’ and ‘a’ in the current Latin based alphabet. Rather, all characters are written in upper and lower cases only by varying the size from big to small respectively just the same way it is done for some letters such as ‘Z’ ‘z’, ‘W’ ‘w’, etc in the Latin script. The same punctuation marks and similar rules are applied except possession marking. For example proper nouns, words beginning a sentence or coming after fullstop, question mark and exclamation mark are written with the first letter in upper case (bigger than the rest of the letters). Chart 1: Characters of the script. 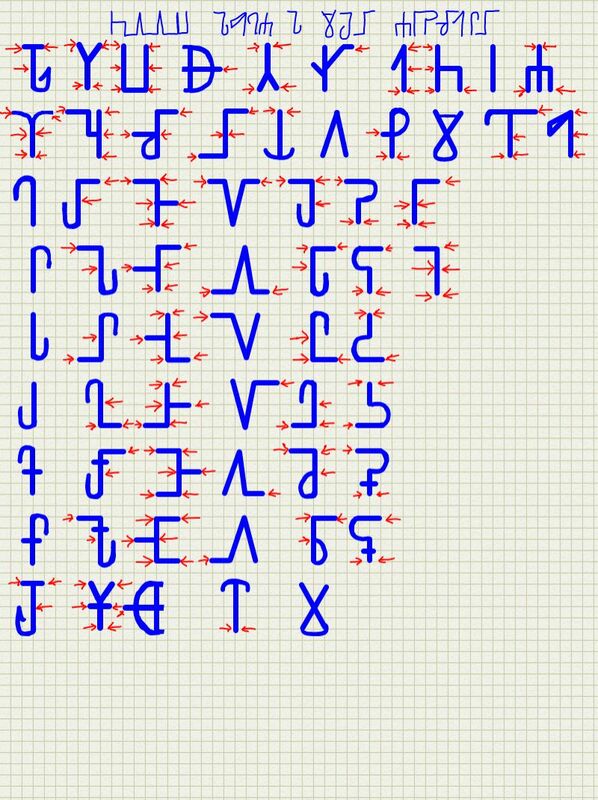 Analysing the glyphs, one might think that some were taken from other existing scripts. This is not so. They were rather created after considering some principles. Thus, the likeness of some characters with letters in other scripts such as the Latin came by coincidence. During glyphs creation, the following principles were employed. 1. The glyphs should resemble, to the greatest extent possible, objects used or associated with the Muonyjang people. 2. The glyph/grapheme and the first phoneme/letter (current Latin letter) in the name of the object whose shape the glyph represents should rhyme. 3. The glyphs should be presentable/elegant in writing and practically easy to write. 4. In the event that conformity with all the above principles complicates or discourages the idea of creating a native Muonyjang script, glyphs that do not conform to 1 and 2 but to 3 can be created, to the minimum extent, provided that they do not resemble any characters of at least the Latin script. With the above principles, all the glyphs comply fairly well with Principle 3. However, only the glyph for the Latin ‘a’ and the consonant glyphs in the black rectangle excluding those in the red rectangle in Chart 0 conform to Principles 1 and 2. The glyphs in the red rectangles were created based on Principle 4 after exhausting all trials to create them in conformity with Principles 1, 2 and 3. All vowel glyphs except the glyph for ‘a’, by nature, do not comply with Principle 2. That is, vowels in Thong Muonyjang always function as nuclei and codas in syllables (middle and terminal letters in lone words) except ‘a’ which can be at the beginning, middle or end of a lone word. As such, to say that the script characters are a result of copying from other scripts is a false preemptive assertion. There may be similarity or likeness of some glyphs with characters in other scripts but that is only by coincidence. 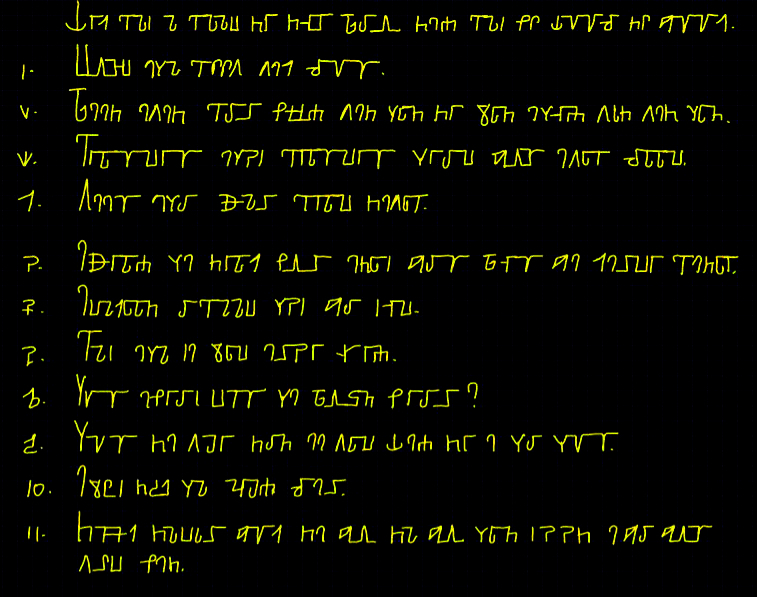 After all, the phonemes marked by such characters in this script are or may not be the same as in those scripts. It should also be borne in mind that objects from whose shapes the glyphs were taken are not only confined to the Muonyjang community. For example, cök käd (Y-shaped pole), whose shape is seen in the glyph for ‘c’ can be found in any community in the world. Perhaps, the Latin may have derived their letter ‘Y’ from the shape of ‘cök käd’ or from another situation. But the fact that we use the ‘cök käd’ shape in our script in a way relevant to our situation is what matters. Again, it would be unnecessary and impossible to explore all the existing scripts so that one can then settle down to create characters found no where in other scripts. My experience with the many versions of this script that I had created and used confirmed this. This is why the script came down to what now it is. 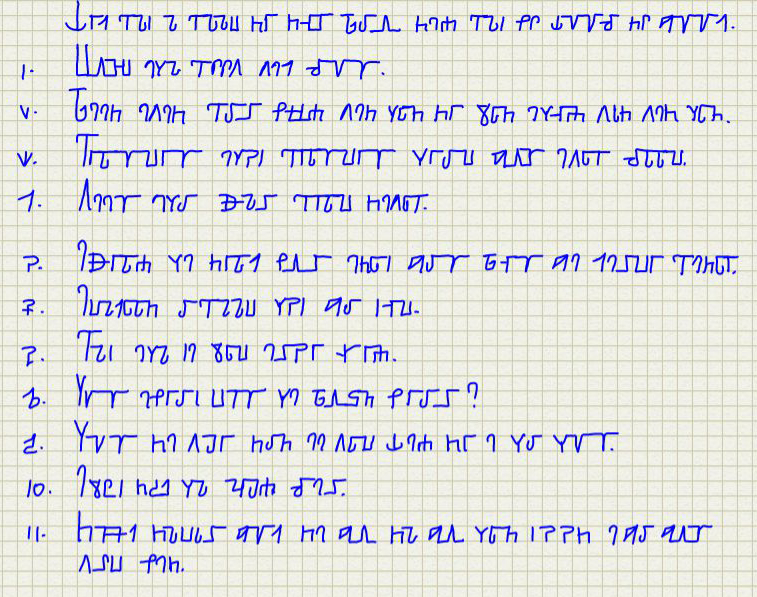 Before mentioning about joining, the directionality of this script is from left to right and top to bottom just like with the Latin script. With this in mind, joining between characters is governed by some rules. These rules are aimed at giving speed to handwriting and elegance to written text. They are based on the phonotactics or syllable structures of Thong Muonyjang which is almost entirely based on monosyllable, CV, structure where C and V stand for consonants respectively. Based on this, syllables occurring in free morphemes are either of CV, CVV, CVVV, CVVVV, CVC, CVVC or CVVVC structures. For example, as in ca (milk), piu(water), määu (alcohol in plural), cuaaï (soup), rap(sorghum), raan(person), dïäär (women) respectively and as per the current Latin based script and spellings. Ca, though, has another form, cang, in some dialects. 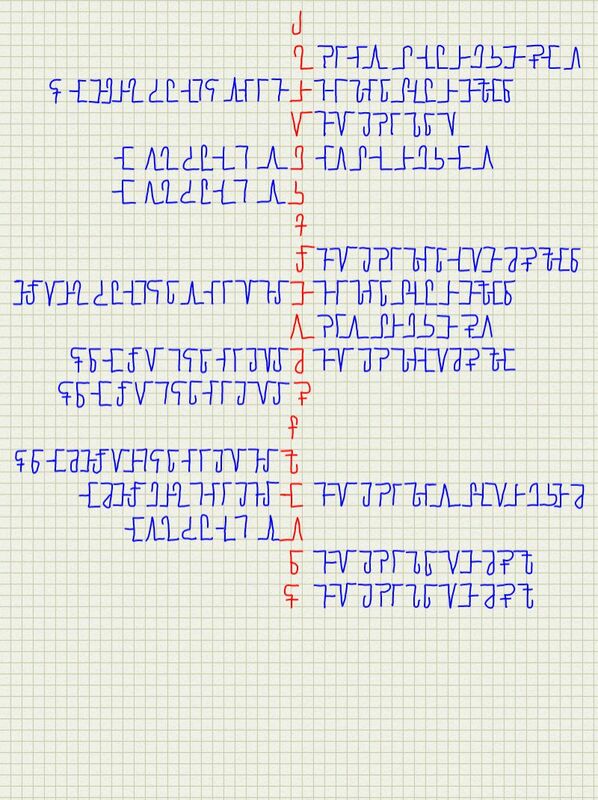 It is in line with this Muonyjang syllable structures that characters of the Nilerian script are designed to have consonant-vowel and vowel-vowel joining rules but no consonant-consonant joining as there are no CC syllables in free morphemes. However, there are CC structures in bound morphemes or compound words such as in Warrap, Monydhäär, nhomlääu, etc although such structures are currently very few, about less than or equal to 25% of all the words and are sometimes written as lone words. ★ points on a straight surface at the top, mid and bottom of a letter; ST, SM, SB respectively. The main rule is that joining occurs between HT & HT, HM & HM, HB & HB, HT & VT, HB & VB, HT & ST, HM & SM and HB & SB only. No joining occurs at curved or irregularly shaped(C), slanted (S) and round(R) surfaces. Examples of glyphs with HT, HM, HB, VT, VB, ST, SM, SB, C, S and R points are those representing the Latin letters of i, nh, ng, g, j, o, u, d, h, a & t respectively as indicated in Chart 2 below. Chart 2: Nature of joining points/surfaces. Note that some characters, although they have some of the above described joinable points, do not join. After careful analysis, these have been made exceptional to avoid similar shapes that result when they join with other characters with which they are similar. For example, glyphs representing the letters ‘ ï ‘ and ‘r’ are similar in shapes and could have many undifferentiable joined combinations. Hence, the glyph for letter ‘r’ which falls under the CV joining only does not join completely whereas the glyph for ‘ ï ‘, which has CV and VV joinings, joins in conformity with the applicable rules. Hence, when two characters, a consonant and a vowel, produce similar joined combinations, preference for joining is given to a vowel character. But when there are two vowel characters which produce similar joined combinations, the vowel with more occurrence naturally or more formidable or easy combinations is given preference for joining. It is on these bases that there are the joining rules demonstrated in Charts 3, 4, 5 and 6 below. Note carefully which letters join to which and whether on the left or right, which letters join only on one side or do not join completely. Chart 3: Joining Points. Points are indicated by red arrows while direction of the arrow shows the direction of the next letter with which joining is applicable. Chart 4: Compatibly Joinable Letters (consonant-vowels) – The red letters are the focal ones to which the blue ones join on their left and right sides. One other important behavioural feature about the vowel glyphs of the new script is that such aspects as breathiness and tone are marked by applying rotations and small changes to the primary vowel glyphs (those representing non-breathiness/ɣεu). For example, breathiness is marked by applying horizontal flip or lateral mirror reflection to all the primary vowel glyphs except for the glyph for ‘I’ where 180º rotation or inverted mirror reflection is applied. 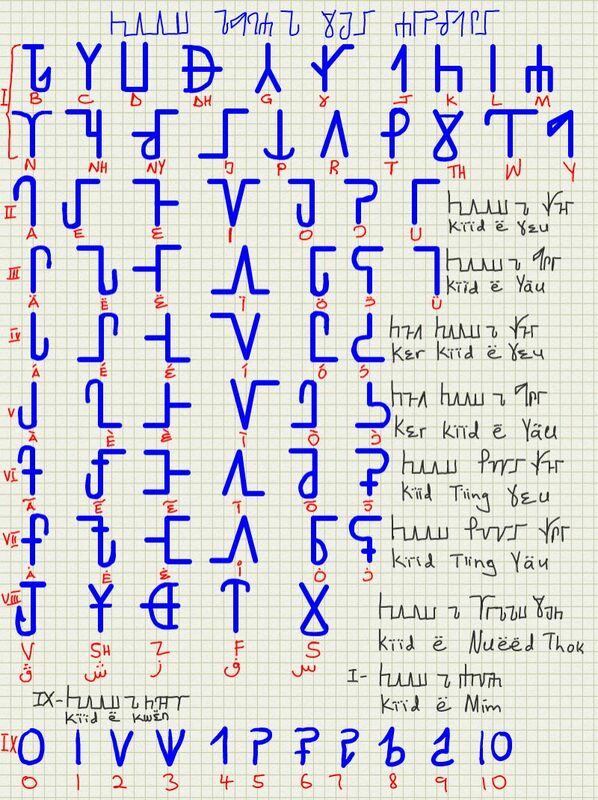 Other rotations and small changes are applied to kïd ë yäu, breathy vowel characters, and kïd ë ɣεu, non-breathy vowel characters, to attain their respective phonemic distinctive characters due to tones. Plosives due to nasalization occurring in proper nouns are marked to a limited extent but significant. These are detailed in the book. These styles of marking breathiness and tone, contrastive to the use of aumlets and diacritics, are easy to manage in computing. They also solve problems of diacritic congestion, as can be manifested in the modified Latin script, and make practical handwriting of breathy and tonal letters/characters easier. In summary, this script solves most of the problems which now exist in the current Latin based alphabet. By adopting it, the new alphabet will be far more phonemic than ever before but with no messiness (stalking of breathy and tonal marks). Specifically, tone marking and phonemic reforms which come along with the script will resolve the problems of ambiguity and wrong spelling now prevalent in Thong Muonyjang. ■ it now introduces a higher number of letters in the alphabet than ever before, the script might be rightly deemed as strange. It might also be perceived as destructive to the literacy attained so far by the already literate speakers or impeding to the literacy campaigns now being waged. 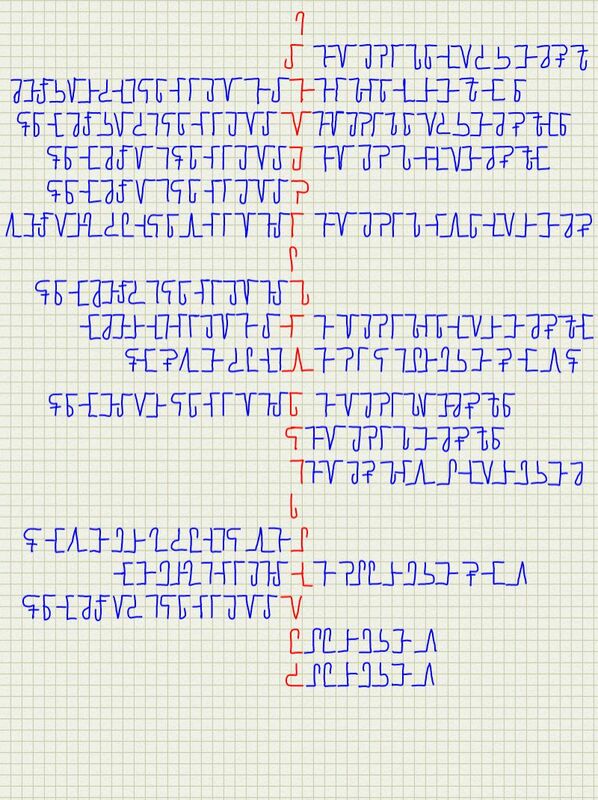 However, not all that is strange is bad, difficult or impossible to master/achieve and so it will not help to give such criticism as to say it’s craziness for someone to create a script for Thong Muonyjang already written in the Latin based script. 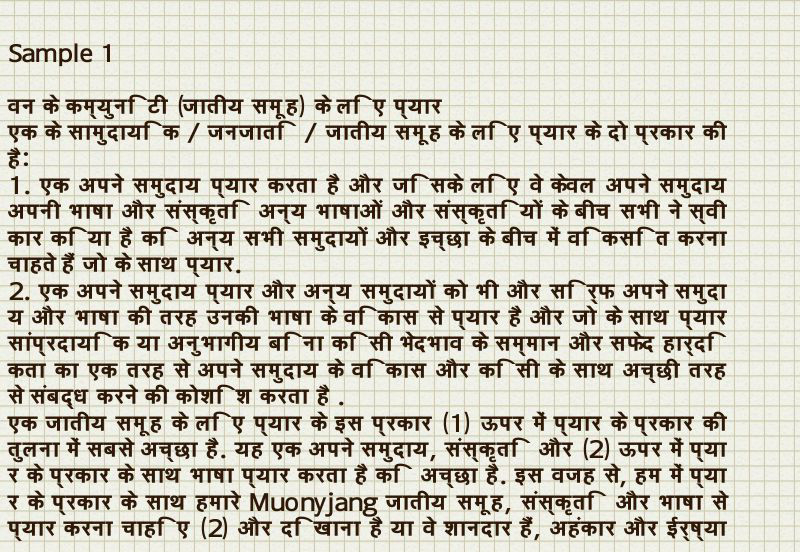 Writing Thong Muonyjang with 51 or 63, 65 or 77 characters is not a problem if the nature (phonemic distinction) of the language demands it. With such a number of phonemes or letters, it is still not the only language with such a big number. 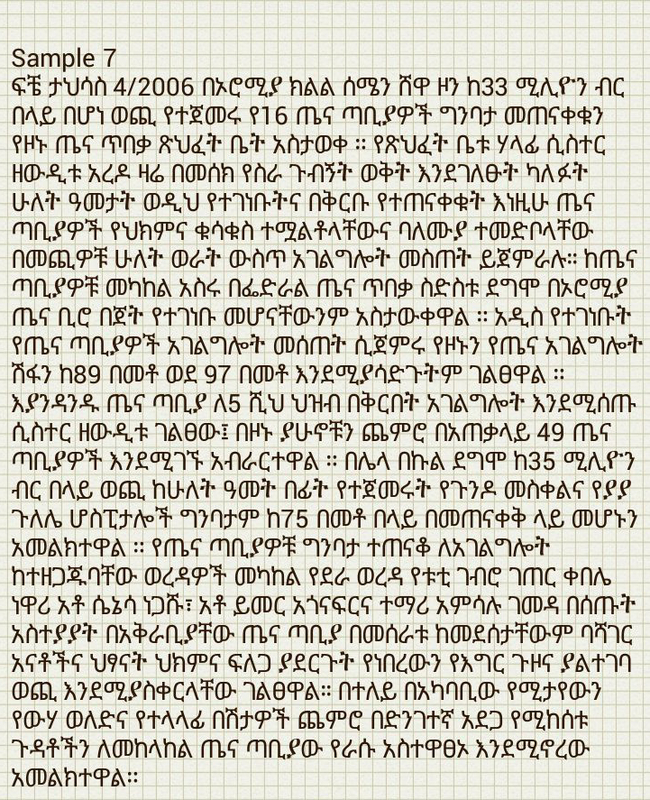 What can be said about !Xoon (Taa) which has 164 phonemes (97 letters) or Amharic? And not only these there are many other languages with more than 40 characters/letters. The fear for reduced literacy also should not be an issue as, when adopted, the new alphabet will be used along with the modified version of the Latin script until such a time when it can be used alone. Many languages that use their own peculiar scripts such as the Chinese, Japanese and many others still use modified Latin scripts alongside their native ones perhaps for correct writing of names when in Latin-script-using countries especially that Latin is the most widely used script in the world. This, though, does not mean that the native scripts are insignificant nor useless. They, indeed, are very important in writing languages they are native to. For these reasons, all the world’s languages can never be written with the same letters while at the same time maintaining their featural uniqueness. Communities that cared to maintain their languages’ uniqueness, therefore, had to design their native scripts and rules of writing. As such it is not factual to say that having an alphabet that is only peculiar to a language can impede its development for if this was true, languages such as Chinese, Hebrews, Hindi and Thai among others wouldn’t have become as developed as they are today. So, a language’s unique alphabet doesn’t even discourage people from learning it at all. It is only the need and the chance of studying the language that matters. Having an alphabet in which so many languages are written doesn’t grantee easy learning or rapid spread of a language either. The new script will, therefore, be used together with the current Latinized alphabet more especially at the genesis of its adoption and even later when the script would have been widely known just in a similar way Chinese now use the Latin script. As comments have shown, many people are just scared by its strangeness upon sight but it is not actually difficult to memorize characters of the new script in match with the Latin ones- it can take busy people less than or just a week to be able to read a text written in the new script. As my sample teaching lessons have shown, those with determined will or zeal can read a text in the new script letters in just one day! So, it is only writing by hand that takes time to perfect as one must master all the joining rules. Again, this cannot be a problem as, once the script is computerized, one would just type and read typeset text easily. Hence leaving writing by hand a choice for the already literate adults among whom a vast majority cannot even write in Thong Muonyjang using the current Latinized script. With the above said, therefore, any criticism the script should receive should centre around whether or not the solutions it brings as explained herein and the secondary benefits the community/nation can gain as put below are viable and practically sustainable not just in the short run but in a long term. ☆ perfect the grammar requirements, stress and tones, which are unpredictable with current Latinized alphabet. ☆ be native only to the Muonyjang community or South Sudan and will be a prestige to its people and the literate speakers of the language. ☆ unite, in ethnic diversity, all South Sudan’s indigenous languages and since majority of them (whose speakers actually constitute at least 75% of the national population) belong to the Nilotic family, it will solve the same problems it has in Thong Muonyjang since their phonologies are more or less the same. ☆be beneficial technologically (keyboard issues) for all the indigenous communities when nationalized and would make a great symbol of fame and national unity for South Sudan. 3. 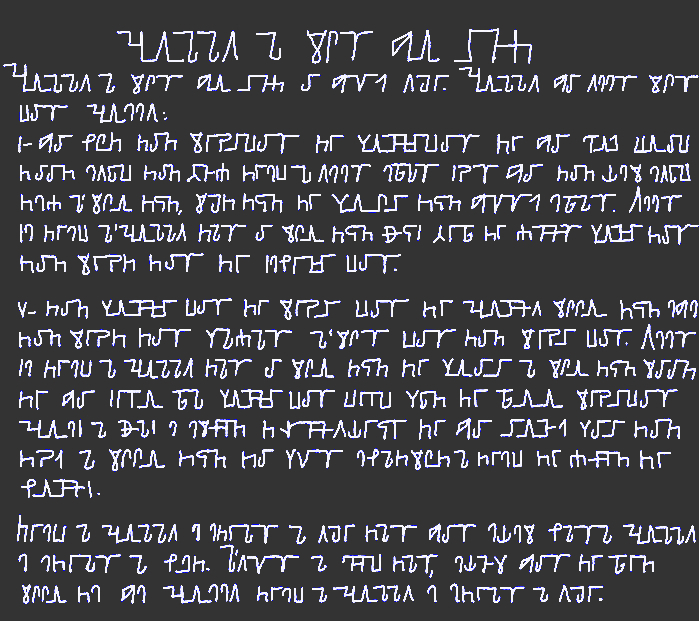 Comparison between a written text in the Nilerian script and texts in other scripts. Note whether the Nilerian script although in handwritten text; resembles those scripts which are in typeset text and to what extent, is complicated and to what degree, looks ugly or beautiful. 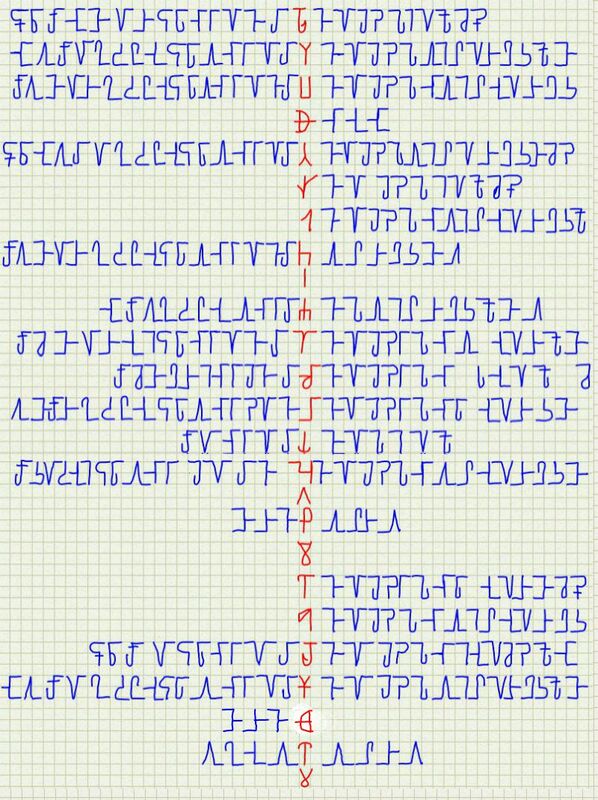 The Nilerian Script Sample (Thong Muonyjang). Alëu Majɔk Alëu was formerly a medical student at University of Bahr el Ghazal – College of Medicine and Health Sciences, where his studies came to a stop in second year after the university could not operate following South Sudan’s independence. He is currently studying Chemical Engineering at Universiti Teknologi PETRONAS in Malaysia after winning the 2013 PETRONAS Scholarship. Reblogged this on PaanLuel Wël: South Sudanese Bloggers..
Who are the Dinka People of South Sudan? The Burning of Cultural Uniform in Bor, Jonglei State, is Unconstitutional April 16, 2019 PaanLuel Wël Media Ltd.
Congratulatory message to Lou Nuer Youth Association for Development for Free and Fair elections April 16, 2019 PaanLuel Wël Media Ltd.
An appeal for self-reflection in the aftermath of the Peace Pilgrimage to the Vatican April 15, 2019 PaanLuel Wël Media Ltd. Burning Women’s Uniform is un-Biblical: Women’s Rights are Spiritual Rights too April 15, 2019 PaanLuel Wël Media Ltd. The Bread Revolution: My Last Memory of Bashir’s Rule in the Sudan April 15, 2019 PaanLuel Wël Media Ltd.
Sudanese Uprising: Sudanese Professionals Association Rejects the Military Council April 14, 2019 PaanLuel Wël Media Ltd.
Our Country Is We; We Are Our Country April 14, 2019 PaanLuel Wël Media Ltd.
Sudanese Uprising: What lesson can we learn from the downfall of Omar Al-Bashir? April 13, 2019 PaanLuel Wël Media Ltd.
Peoples’ power vs People in Power: The General who was overthrown by the power of bread April 12, 2019 PaanLuel Wël Media Ltd. The Burning of Traditional Attires in Bor is a Reflection of Theological Deficiency April 11, 2019 PaanLuel Wël Media Ltd.